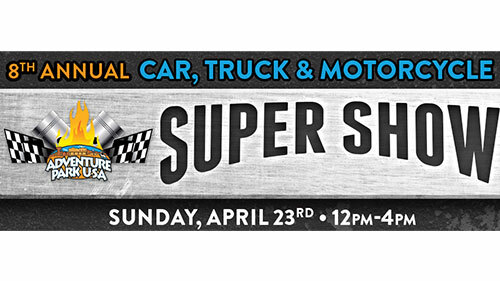 Hundreds of vehicles will be polished to perfection at this 8th Annual Car, Truck & Motorcycle Super Show. Park rides & attractions will be open for more fun. (Rain Date: April 30). See website for details.